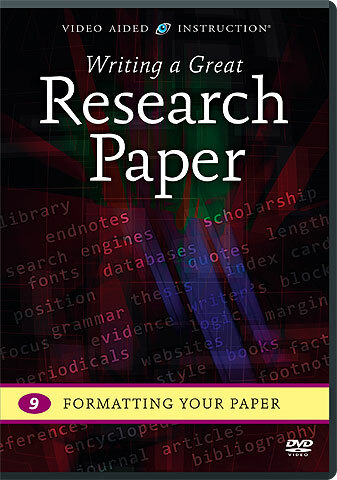 Formatting Your Paper on ! 1 DVD · 1 hr. 19 mins. The formatting of your research paper can make or break its presentation — and that can have a significant impact on your grade! This comprehensive program covers mechanical details like fonts, margins, and spacing and provides an extensive overview of style guides like Chicago, Turabian, APA, and MLA and their varying approaches to references, footnotes, and bibliographies.